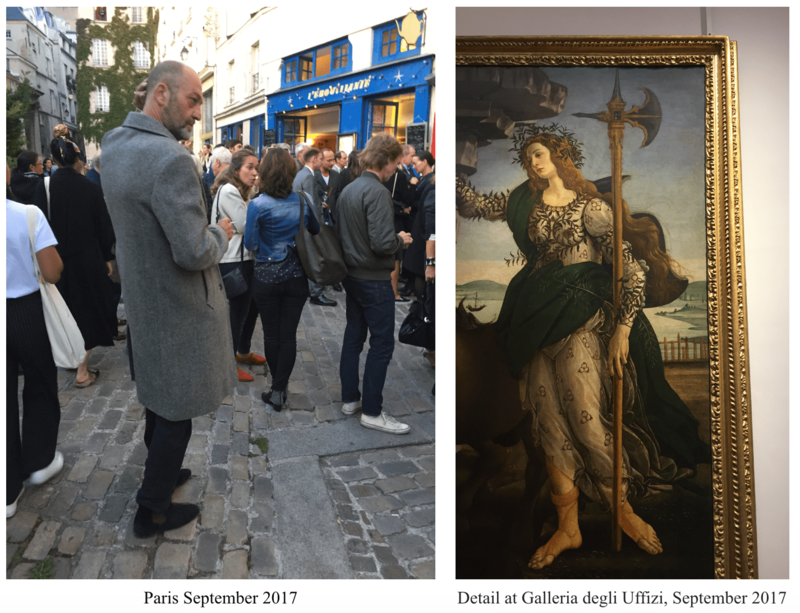 For my first blog post I wanted to focus on European street style and art, as people watching and visiting museums are two of my favorite things to do. Fashion and art go hand in hand, influencing the way we look at the world and how we present ourselves in it. 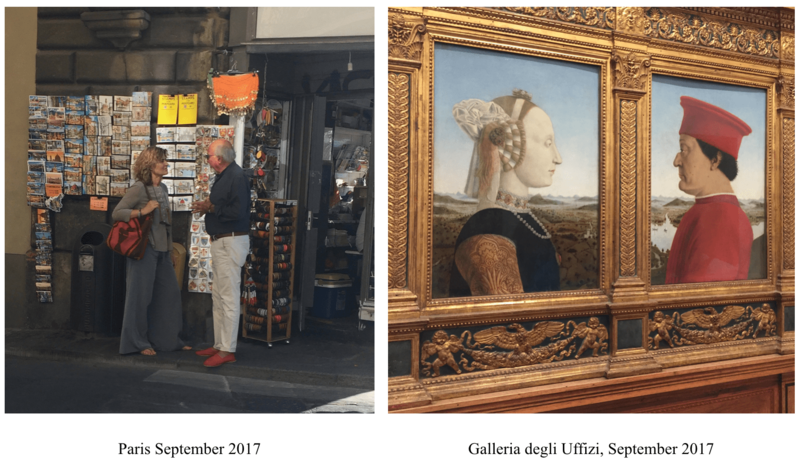 With this post I wanted to push the boundaries by comparing photos I took this past month of street style in Florence and Paris and compare it to Medieval, Pre-Renaissance, and Renaissance works of art I took at Galleria degli Uffizi and Musée du Louvre. 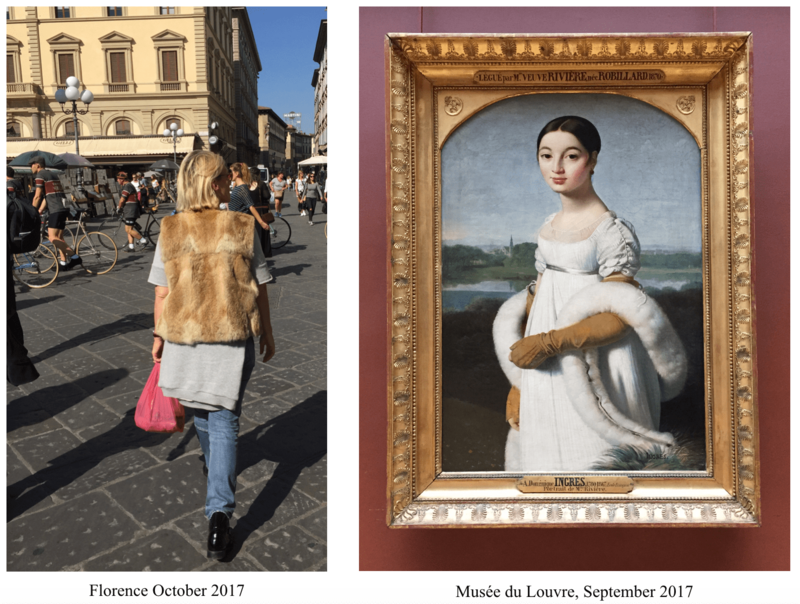 People watching and street style is definitely different in Europe than in New York and there are also significant differences between Florence and Paris. 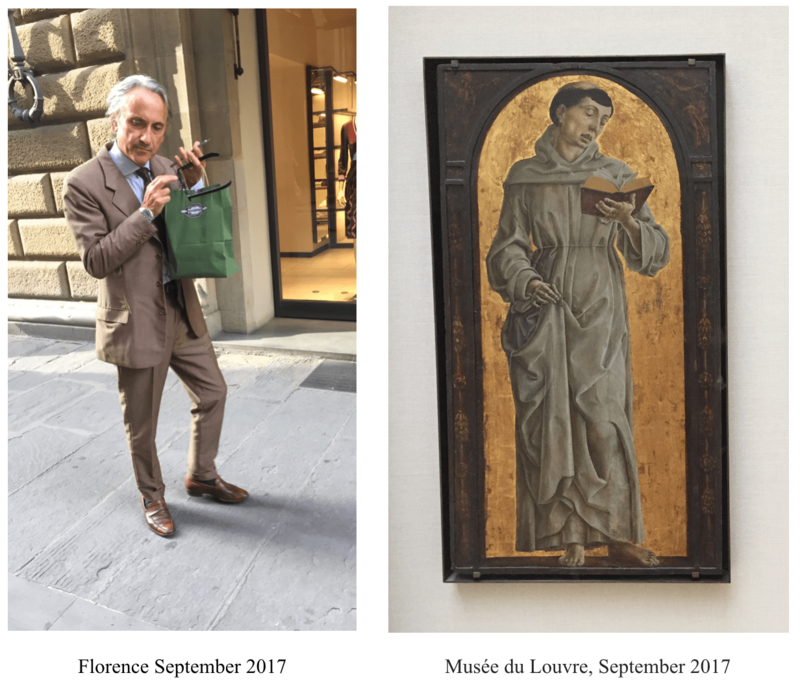 I find in Florence there is more a classic, elegant, feel to the way people dress, and more of a focus on menswear. People aren’t experimenting with crazy trends, but rather sticking with foolproof basics. 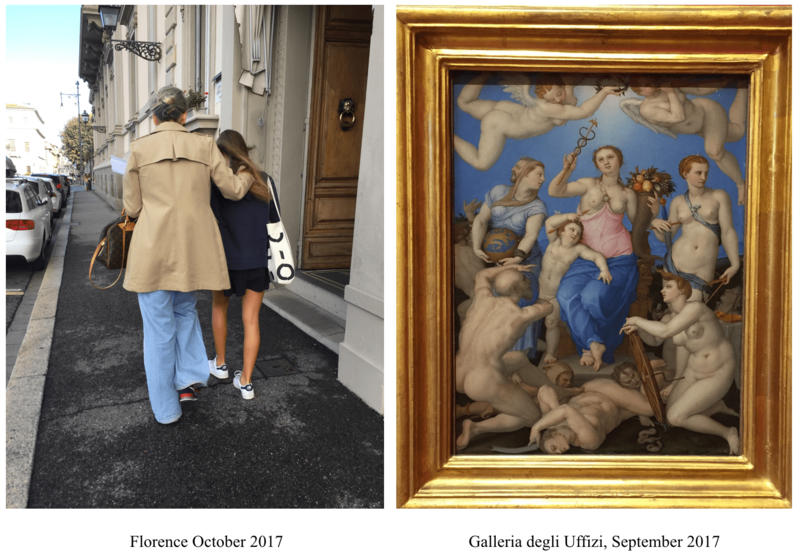 I find that I am drawn to what older people are wearing rather than the younger Florentines. Paris on the other hand is much more fashion forward, while still having a strong focus on classic pieces. 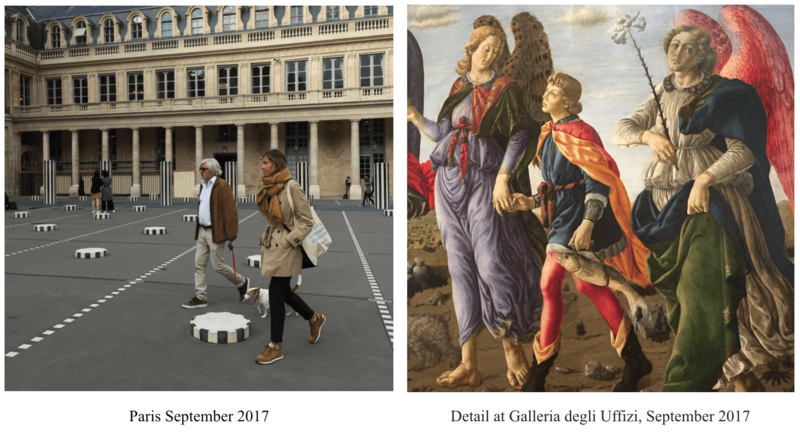 Here you can see younger Parisians wearing looks which are inspiring the trends as well as older couples casually elegant. 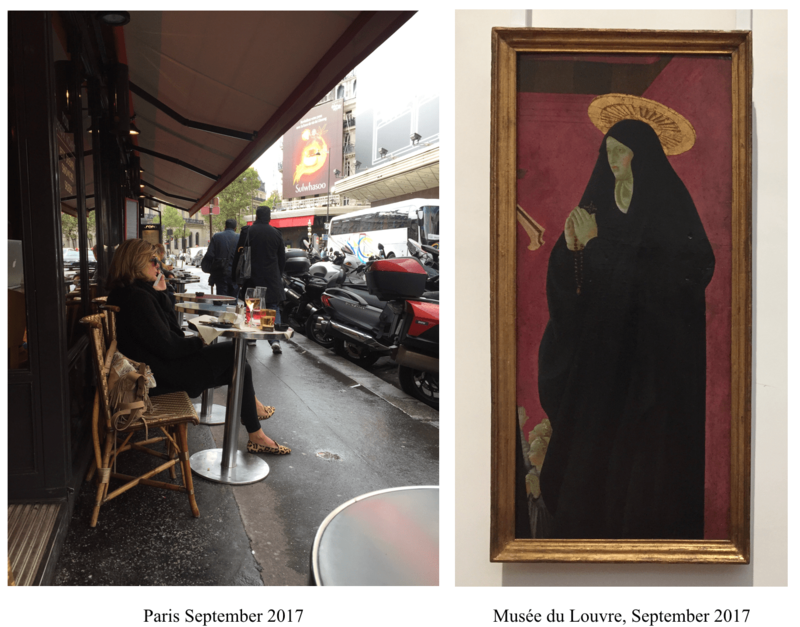 In Paris I saw a nonchalance about their style, a genuine representation of their personality which never comes off as trying too hard. There is something really effortless about European style. 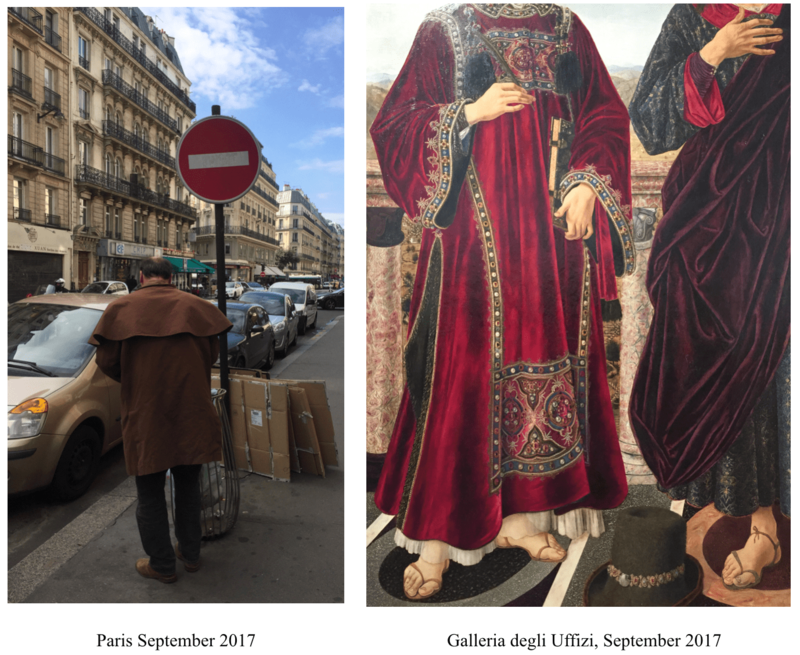 In Paris, more of an edgy, grittier effortless look, while in Florence it’s a little more clean and traditional. 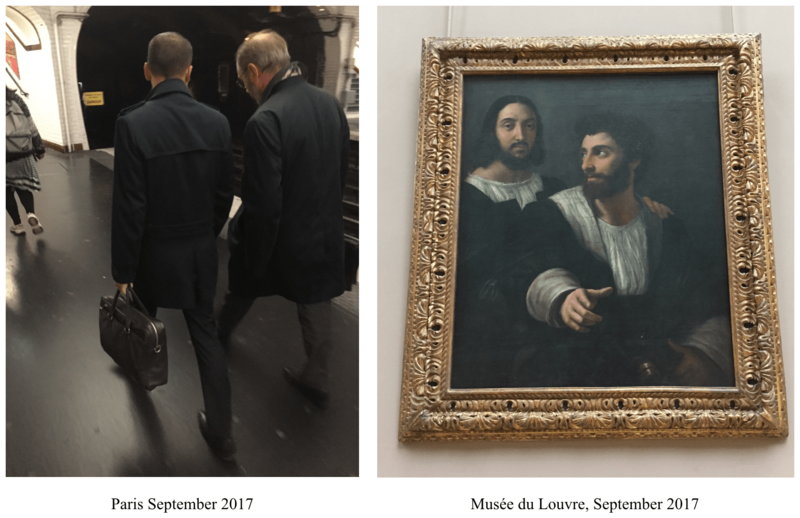 With such a strong presence of art in both cities and fantastic museums, I wanted to try and show you a glimpse of the street style while taking advantage of all the artwork! 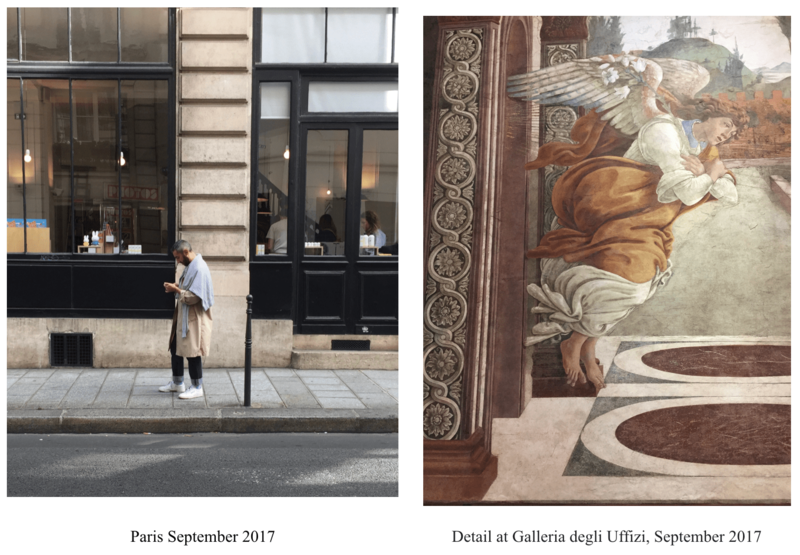 I hope this provides a creative perspective to the daily looks we see on the street, and that you enjoy it.